Vape Heads by Lifted is a sour candy flavor explosion! 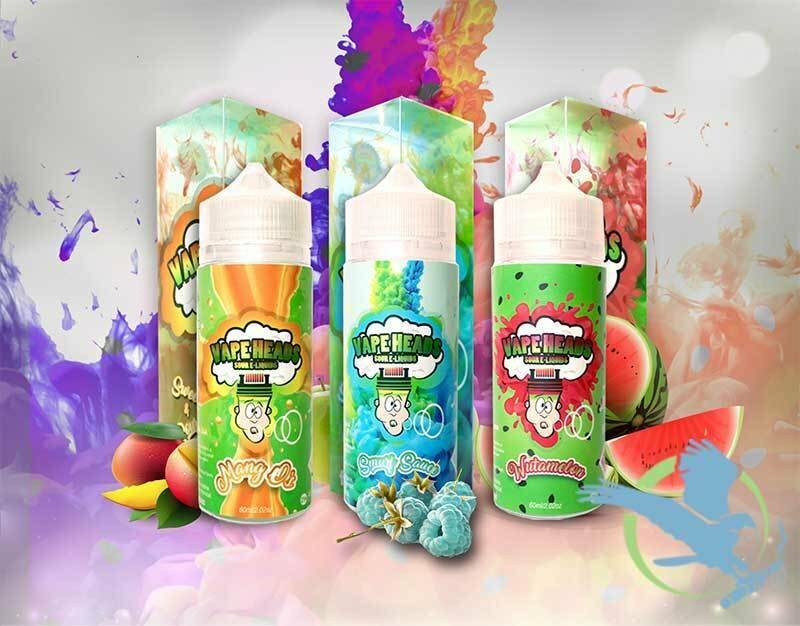 offering 3 flavors that will excite any vapers taste buds! Mang o's offers a sour mango candy that is a must try for any mango fan. Smurf Sauce is a spin on the classic blue raspberry sour candy, with a tart apple added into the mix. Lastly, Wutamelon is a juicy watermelon sour hard candy. All bottled in 120ml bottles for easy filling and carrying on the go. Get your sour candy fix with Vape Heads!